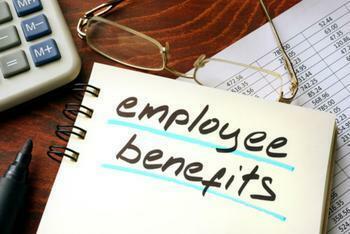 If you work at a mid-size to large company, benefits likely make up an important part of your compensation package. But in the last 20 years, the items that are included in these packages – those valued by employees and offered by employers – have undergone some surprising changes. The latest survey from the Society for Human Resource Management (SHRM) shows the benefit that has expanded most in the last two decades is – not health coverage – but telecommuting. Twenty years ago, just 20% of survey respondents had employers that offered telecommuting. Today, 60% of employers allow some employees to work outside the office. Tanya Mulvey, SHRM’s project lead for the 2016 survey, says businesses have found that these flexible work arrangements are a means of attracting and retaining valuable employees. “These benefits have proven to be highly valued among two sizable demographic groups: Millennials and 55-and-older employees,” she said. The two groups have different reasons for wanting this benefit. For Millennials, it's a matter of having greater control over their own schedules. For older employees, working from home often provides needed flexibility to care for family members or to ease into retirement. While telecommuting is the growing benefit, some past favorites seem to be fading away. Remember job-sharing? That was highly popular a decade or so ago, when two or more employees worked part-time, performing the duties of a full-time employee. That's much less in evidence these days. While 24% of organizations offered this option in 1996, just 10% do now. What hasn't changed a lot in the last 20 years are health benefits. Preferred-provider organization plans (PPO) continue to be the most common type of health benefit, offered at 84% of organizations. Wellness plans are one area where health benefits have changed a lot. In 1996, 54% of organizations offered some type of wellness plan or incentives for employees. This year the number had grown to 72%. These include everything from organized wellness activities in the workplace to on-site seasonal flu vaccinations. To promote wellness, 20% of respondents charge employees who smoke a “smoking surcharge” in their health care premiums. When it comes to financial benefits, the 401(k) account is the most common retirement benefit, offered by 90% of organizations. Meanwhile, fewer employees are getting stock options or the chance to enroll in stock purchase plans.